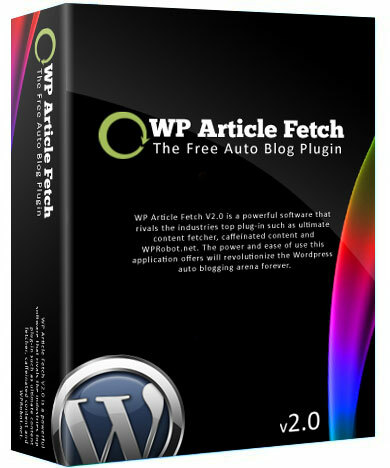 WP Article Fetch V2.0 is a powerful software that rivals the industries top plug-in such as ultimate content fetcher, caffeinated content and WPRobot.net. The power and ease of use this application offers will revolutionize the WordPress auto blogging arena forever. Wp Article Fetch v2.0 allows you to create a few as a hand full of post or thousands of targeted post with the flexibility of the top tier paid software’s. How Women Can Make Money at Home, Online? Copyright © 2011 sTech | Powered by Blogger.